A Visit to Donghaksa Temple | Chasing Life! One simply cannot go South Korea, and leave without visiting a Buddhist temple. 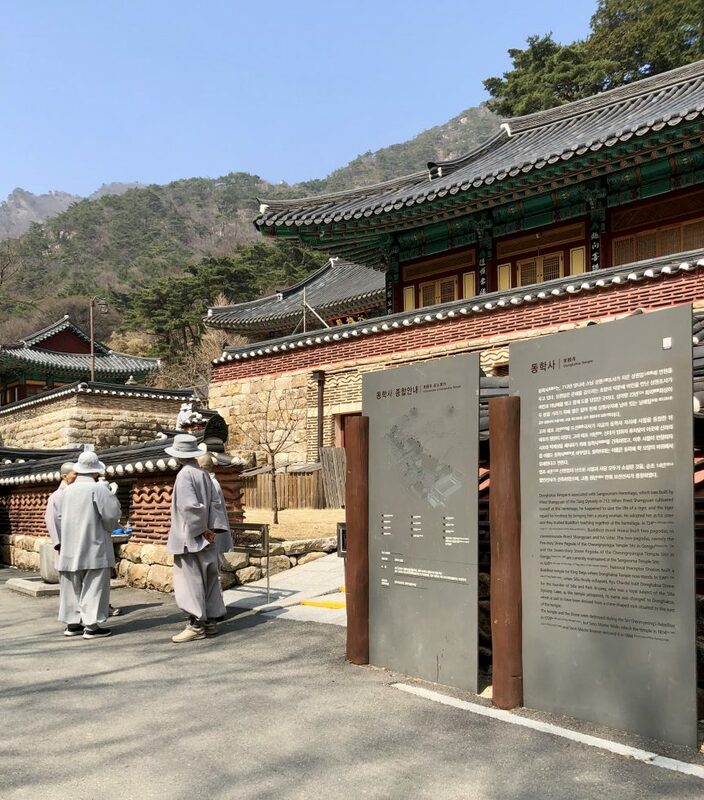 These temples and the religion of Buddhism are such an important part of the Korean culture, that it is a must do if you really want to understand the culture. Ever since I was a young child, Asian cultures have fascinated me. As I have mentioned before, I used to watch Asian/martial arts movies with my father. This helped me become somewhat familiar with Buddhism, monks, temples, etc. Even I can tell you that it is one thing to hear about something, or even see pictures or watch videos about it, however, it is another thing to see or experience it in person. The walk up the mountain was beautiful with views of hills, water creeks, stones and rock formations, and several worship and ritual spots. The mountain was pretty steep, and poor Brian got a good workout pushing me uphill. June Lee shared stories about the park, the temple, and the some of the rituals people partake in. Koreans are very superstitious and spiritual. They have strong beliefs about ancestral spirits, and items that bring good luck and protection, as well as some that are meant to be used as amulets, etc. During our trek up the mountain, I noticed several areas with rocks and stones piled up in what at first I thought to be small altars, but she explain that there is a belief that collecting stones from the river and stacking them up brings good luck. You could find all around the park. Another interesting thing we found was a burial site. There were several tombs with large headstones that were surrounded by several good luck small stones. The park area was quiet -almost too quiet, which makes it clear why anyone would want to come and meditate or pray in such a setting. As we got closer to the tempe, the first thing we came up to was a souvenir shop with several amulets, prayer beads, and many items made with the symbolic owls (supposed to bring good luck), dragons, and other animals. The entire time you are there, there is an eerie hum and gong sound playing loudly; like chanting but without words, just a sound that frankly got annoying after a while. Once you walk away from the souvenir shop, the sound lessens, and the surroundings become pleasantly quiet. The Bonghaksa Temple area had several buildings that were meant as living quarters for students who are preparing to become monks, a small temple and a large temple, offices, and another area we were not allowed to enter. The monks we encountered were kind and helpful. All had their heads shaved and were wearing the same simple greyish garments. I was surprised to see that some were women. I was also surprised that they have business offices. I always thought a Buddhist temple was just for worship and living quarters for monks to meditate and live in solitude, but apparently they conduct business as well. Who knew?! The day we visited, there was construction going on, and there was much activity happening. Winter had ended and Spring was just barely starting, and so the surroundings still had patches of snow, leafless trees and a hint of winter coolness. The main temple was interesting in of itself. Somehow I thought it would be larger, but this was one of at least four other temples in the area. The structure of the temple had the typical Korean colorful architecture, with detail drawings, and symbols. There was not much inside other than a large Buddha statue, and two smaller ones at opposite sides. There was a small table with a small artifact that looked like a gourd. This was used to make a clicking sound while praying/chanting. There were incense, flags/banners, and plaques with pictures of a recent funeral, as well as smaller lighted plaques with names of those who have passed on. On the right side of the temple were scrolls and ancient booklets with chants and prayers, and a large bell/gong. The details on the structure itself, were reminiscent of the Joseon Dynasty, and they were quite beautiful. We left the temple and went back down the mountain, after Brian played with his drone for a bit. On the way down the mountain, June Lee shared her powerful sacred story of how God delivered her from a mental breakdown caused by her performance driven lifestyle as a professional musician. I was deeply moved by her sharing how she has been able to recover by the grace of God and the help of her church family. June’s testimony is beautiful because when you meet her, you cannot believe she has been in such a dark place in her life. She now works as the assistant to Pastor Yang at the Stepanos Praise Center. She is a true overcomer and a witness of how God can restore, redeem and elevate. On our way back to Daejeon, June Lee took us to a local restaurant where we had vegetable stew and kimchi pancake. Delicious! You all know by now that I have a pancake obsession, and this was an unexpected surprise addition to my personal pancake world tour. The perfect way to end a good day! Get ready to get hungry…Delicious South Korea is next! This was such a great trip! Yes, it was an intense workout, but very worth it! Thank you for such an amazing adventure! Beba wow what an experience. You know when you mentioned and quote: “During our trek up the mountain, I noticed several areas with rocks and stones piled up in what at first I thought to be small altars” this statement reminded me of the Israelite and the Old testament mentioned of how the made altar or rocks and also used them for sacrifices and the bible mentioned that they are there until this day, and it is interesting that they also used kind of the same technique as the Israelite, umm interesting. 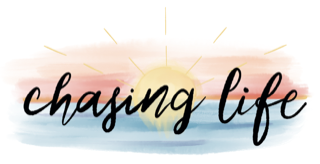 Thanks for sharing your adventure in SK…Beba it would be awesome if June Lee allow you to share her testimony because i see that happening in a lot of people who call themselves Christians and worship in churches but they are living a dark life. Thank you mamita I love you…. I found so many things about the experience interesting. I learned a lot just by being there and seeing things firsthand. If you met June Lee, you would just fall in love with her. Her testimony is so amazing that I was totally tempted to share it, however, I want to respect her privacy, and only share what I could. Perhaps she might allow me to interview her for a later post.